Consider a system that must process multiple files simultaneously. We want to improve system performance but also we want to monitor the process in real time. To achieve this goal, we suggest to build a distributed architecture consisting of a REST web server ( ASP.NET WEB API, SIGNALR), a WEB client (ASP.NET MVC and Angular JS ) and a web service that processes files ( WCF or Other). But for this tutorial we will use a single project for easier reading. 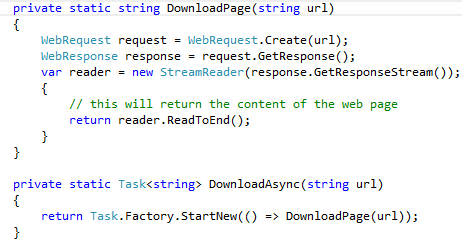 To follow this tutorial, you must undertand ASP.NET WEB API , SIGNALR and TPL Dataflow. 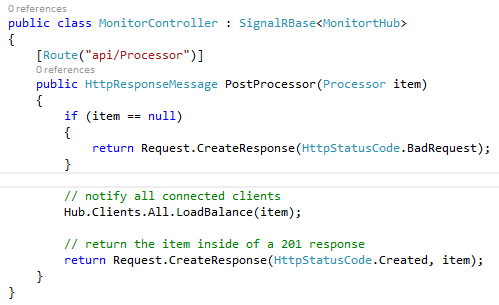 We will also use SignalR as it allows bi-directional communication between server and client. Servers can now push content to connected clients instantly as it becomes available and supports Web Sockets. Hub.Clients.Client(id).LoadBalance(item) ==> Send Message to a specific client. Hub.Clients.Group(groupId).LoadBalance(item) ==> Send Message to all clients connected to a specific group. 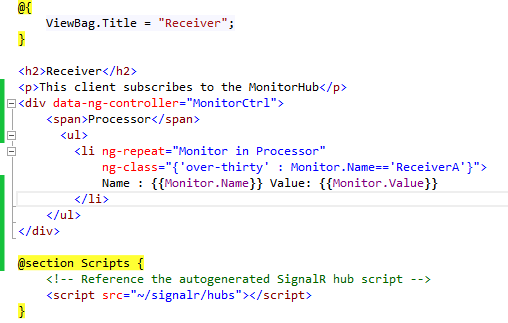 Lets create an API Controller (MonitorController), SignalRBase implement IHub and allow us to access our Hub inside APIController. We can avoid bottlenecks in performance and improve overall responsiveness of our application using the asynchronous programming. However, traditional techniques for writing asynchronous applications can be complex and difficult to write, debug and update applications. 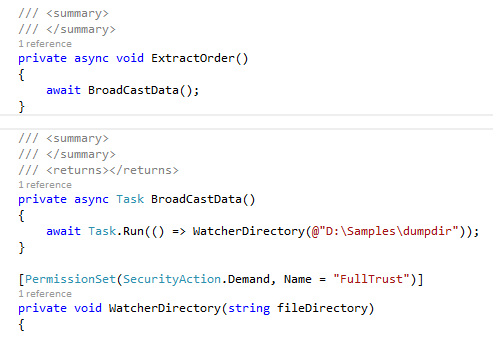 we want to just write the code, and the way we structure it results in no synchronization issues. So we don’t have to think about synchronization. In this world each object has its own private thread of execution, and only ever manipulates its own internal state. Instead of one single thread executing through many objects by calling object methods, objects send asynchronous messages to each other. If the object is busy processing a previous message, the message is queued. When the object is no longer busy it then processes the next message. 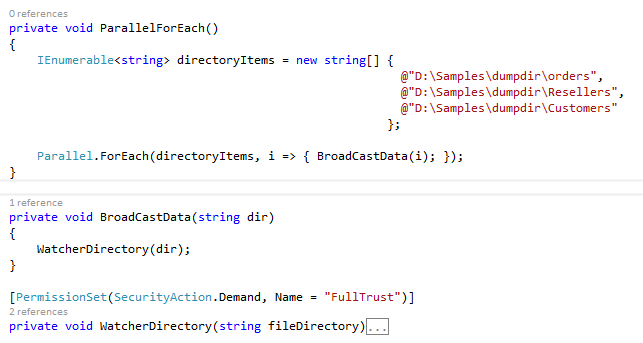 Fundamentally, if each object only has one thread of execution, then updating its own internal state is perfectly safe. essentially a message source, target, or both. In addition to receiving and sending messages, a block represents an element of concurrency for processing the messages it receives. Multiple blocks are linked together to produce networks of blocks. Messages are then posted asynchronously into the network for processing. data object ready to be sent to the web service. For network efficiency the web service receives multiple data objects as part of a single request, up to a defined maximum. The following process could be broken down into a series of blocks, where each block is responsible for doing some part of the overall processing. offered the message. If all blocks refuse the message, the first block to become available to process the message will do so. To achieve this goal, we have to make a block non-greedy, simply set the queue length to 1. 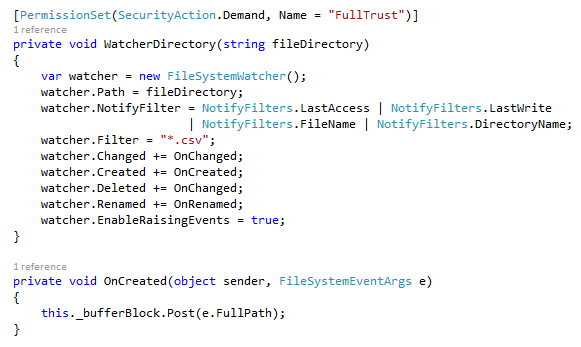 _transformBlockToManyFiles has responsability transfrom a FileOrderEntity to as List<FileOrderEntity>. large files must be split to many small files. Now we are going to build our Dataflow network by linking blocks. The schema below represent our DataFlow network, the workflow that will execute at runtime. Finally, let us use FileSystemWatcher to listen file system change notifications and raises events when a directory receives some files. You will see that Receiver client display files at real time.